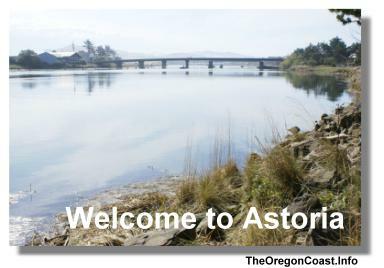 Welcome to Astoria on the beautiful Coast of Oregon. We hope you will enjoy your visit. Go here to find the distance from Astoria to another city on the Oregon Coast.  Get directions to Astoria from anywhere in the United States. 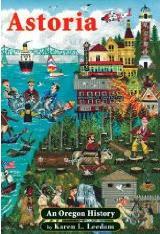 Here is an interactive map of Astoria, Oregon. Things you may want to check out when you visit Astoria, Oregon. Some places you can sleep when you visit Astoria, Oregon. Here are some suggestions about where to eat in Astoria, Oregon. Before Seattle, before Portland, there was Astoria. The rest of the country is just beginning to discover Astoria, Oregon, that historic gem of a town at the mouth of the Columbia River west of Portland, and the oldest European-American settlement west of the Rockies. The author provides a chronological look dating back to the 1500s, including European exploration, Native American life, logging, fishing, Chinese laborers in the salmon industry, a giant cheese in the Civil War, Oregon's first female surgeon, Victorian architecture, and valiant Coast Guard rescues. A chronology of events from the 1500s to present day can be found in the appendix, along with self-guided tours of downtown and the riverfront, and a listing of things to do and places to visit. Whether you're a born and bred Astorian or just passing through, Astoria's history is rife with drama that will captivate and inspire you. So settle into a comfortable chair and enjoy this journey through time. The Lewis and Clark Expedition is a symbol of our nation's heritage, of the spirit of discovery and exploration that identifies our past. Seeking to honor the Corps of Discovery's incredible journey to the Pacific Ocean, the community of Astoria, Oregon built a memorial in the form of the Fort Clatsop replica. But on October 3, 2005, flames blazed high in the sky. 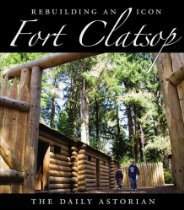 Local officials and townspeople looked on in horror as Fort Clatsop burned to the ground.